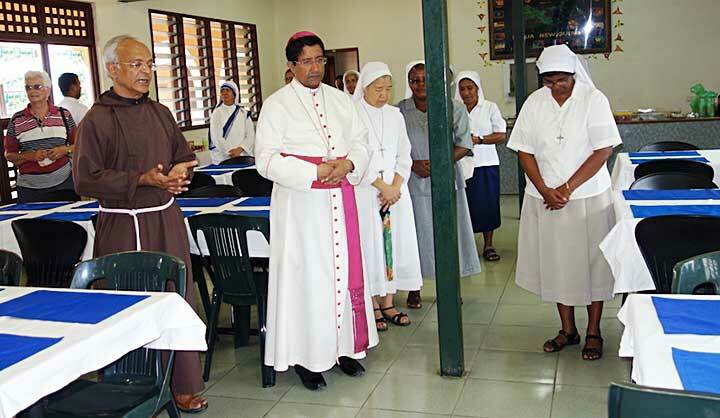 February 4th 2017 was a great day for religious of the Archdiocese of Port Moresby to reflect on Religious life and evaluate our faithfulness to Christ. 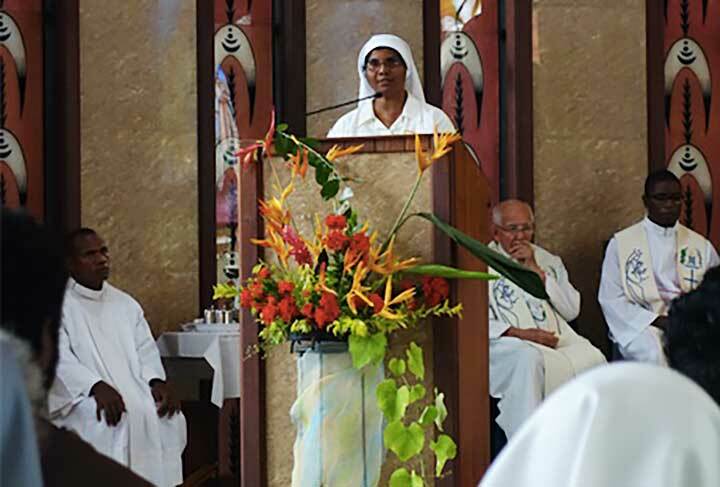 About 300 consecrated persons gathered at the Shrine of Mary Help of Christians, Boroko, Port Moresby to celebrate the Feast of the Presentation of the Lord. 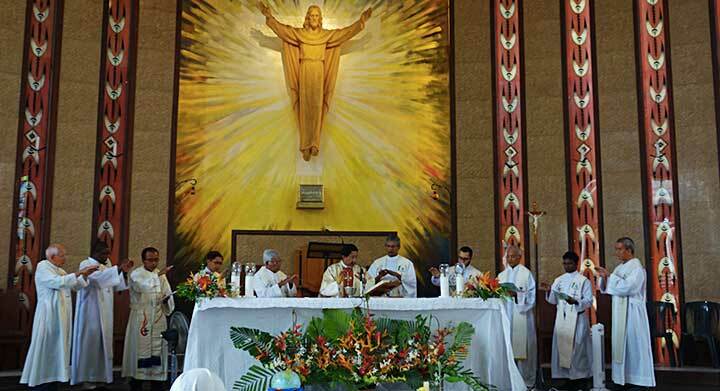 The Eucharistic celebration commenced by invoking God’s graces on the members and thanking God for His plentiful. 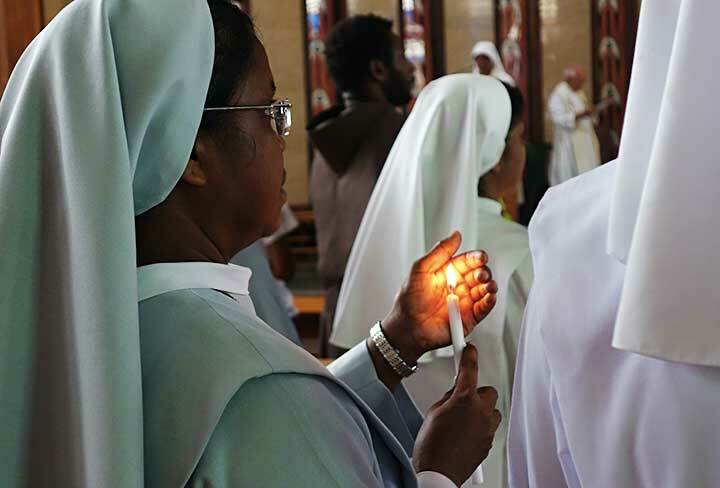 Archbishop Kurian Mathew Vayalunkal, Apostolic Nuncio to PNG and SI in his homily highlighted the obedience of Joseph and Mary to the Law of the Lord, the poverty of the holy spouses, the virginity of Our Lady. He spoke on “chastity, obedience and poverty”, the three pillars of our consecrated life. He encouraged the younger religious to respect and support the older ones and that the elders are to guide and inspire the younger ones. He further invited all to encounter Christ in the peripheries – ‘to have Jesus as the center of this encounter and be the bridge that connects us to God the Father as he is the one who moves everything’. The homily was followed by the Renewal of Consecration. All present symbolically carried lighted candles and prayed the prayer of consecration, that they follow Mary as she carried the light of the world and became the model of burning love. At the symbolic offerings, the renewal of all the congregations were offered, thus recommitting ourselves to our own Charism, ready to face any challenges, knowing that life without struggle is a life without success. 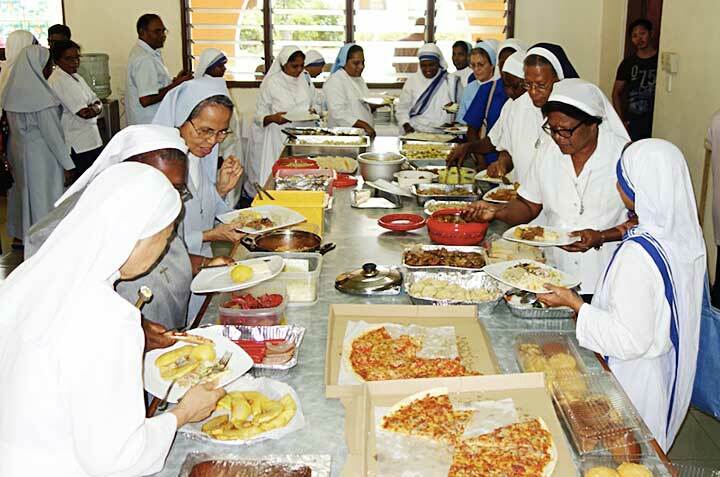 After the Holy Eucharist Sr. Bridgit Suvakeen thanked the Apostolic Nuncio for availing himself to celebrate the Eucharist, she acknowledged the Salasian community for providing the facilities, the Shrine to celebrate the Eucharistic meal and the Emmaus hall to celebrate the fellowship meal and the Missionaries of Charity for organising melodious choir. The Apostolic Nuncio also expressed his great joy to come together to share and joys and challenges of our mission. 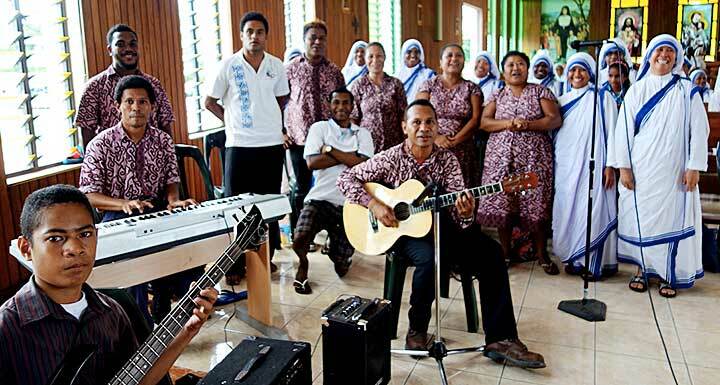 He concluded saying, “Let us go with Jesus to our people with a smile on our face, with hearts filled with love, with good thoughts in our mind, and then we will become successful missionaries of Christ in PNG. We will thus be the salt and light attracting others by the light of Christ”. 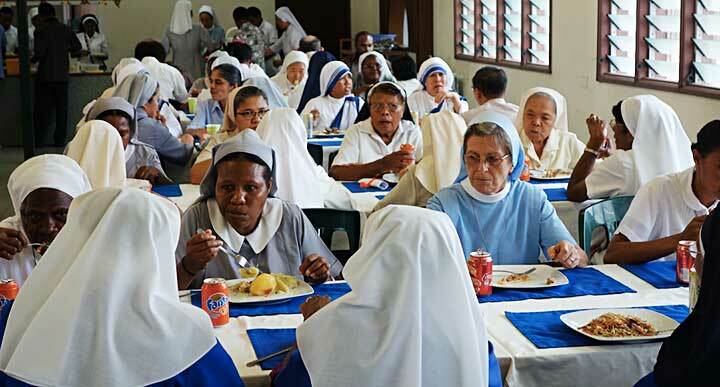 A sumptuous meal enhanced the bond of unity and family spirit and all were relaxed at the company of one another.